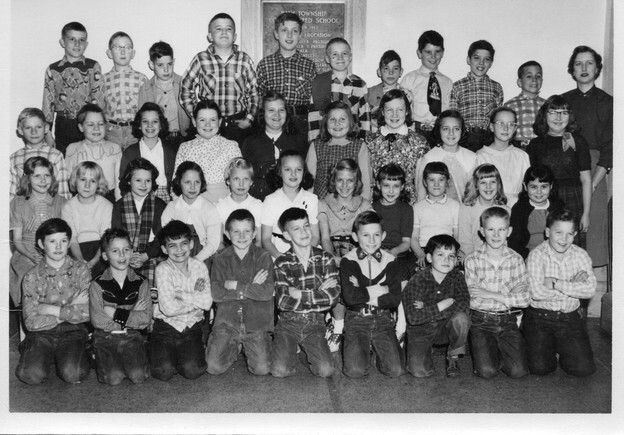 Central School - First Grade - were it all began. Was this teacher Mrs Crawford? Dave McCormick confirmed and thanks to his wife Barb. 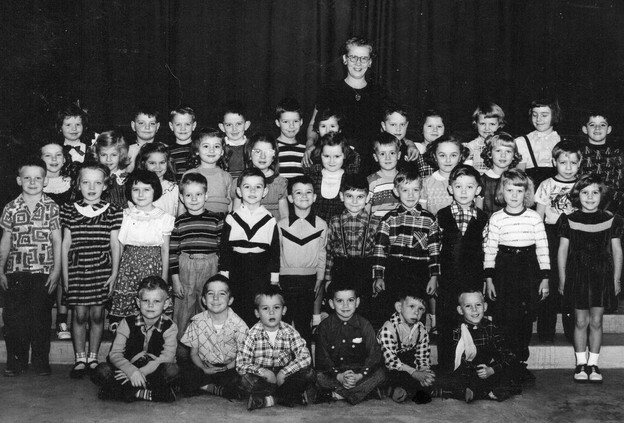 Central School Second Grade - anyone remember this teacher? 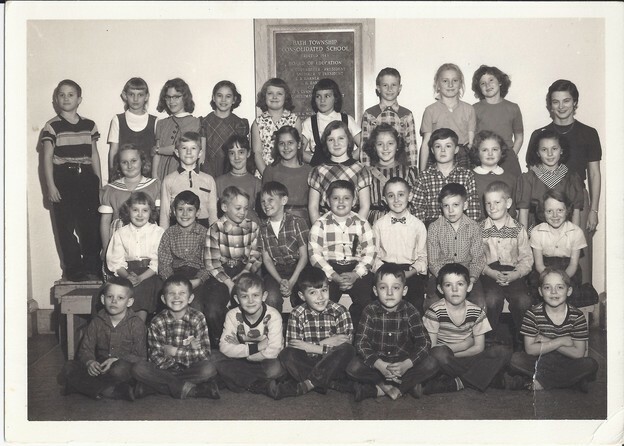 Central School - was this 4th Grade? 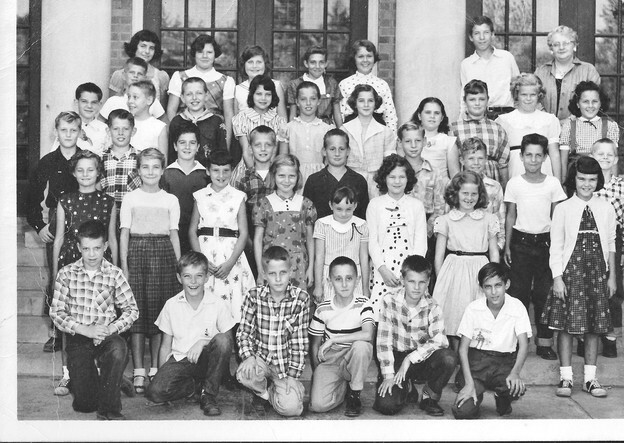 Central School 6th Grade - Mrs. Forkner (?) A lot of us in this picture are still attending reunions. 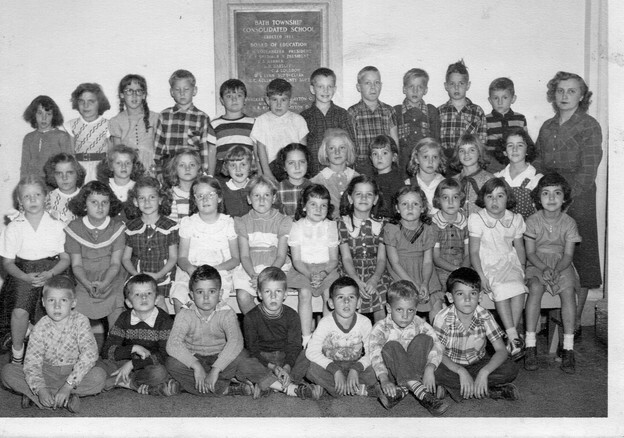 Found the Kindergarten picture. Think Gayle may remember. Mrs. Ryan? Denny...I think I gave you originals or copies of my elementary class pictures. Would you give them to Larry to post on our site? Larry...thank you for posting these pictures. I could identify a few more people but mostly I saw faces I recognize but can't remember their name. Need to check against a yearbook. How about taking prints to July 1 party to get help to identify them? 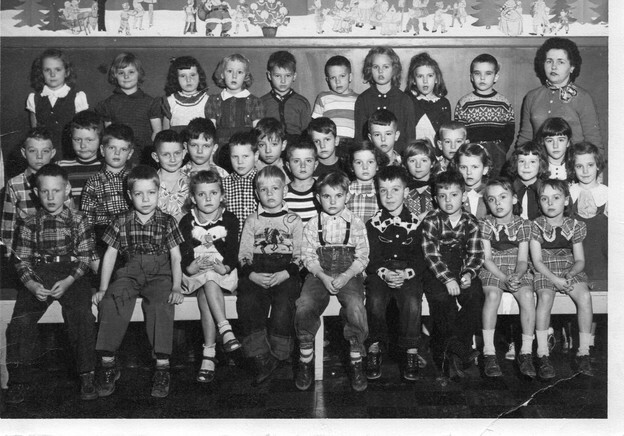 On my profile there are comments identifying some of us in this kindergarten picture. I scanned and posted all of them. Go there, reminisce and pick out more of us. The above submitted by courtesy of Tom Sills. Thanks Tom! 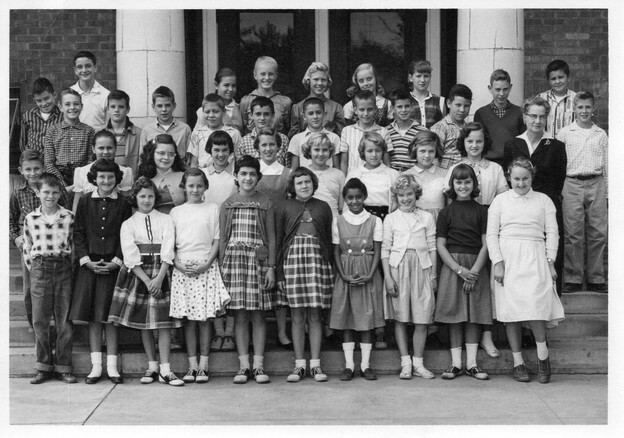 5th Grade, Mrs. Hagen. Do those of us remember Mrs. Hagen reading us the "Sugar Creek Gang" in off times between subjects? The above submitted courtesy of Tom Sills. Thanks Tom!